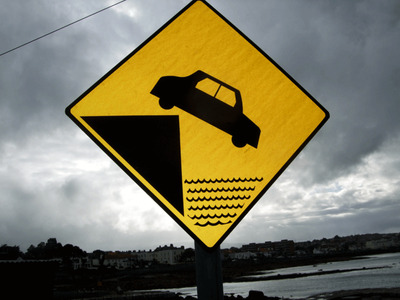 Flickr/SMcGarnigleA warning sign at Sandycove Pier, Co. Dublin, Ireland. There may have been a sudden spurt in mergers and acquisitions activity over the past few days, but it has by and large been a quiet year so far for dealmakers. Deal volume stands at $539 billion so far this year, according to a note sent out June 10 by Goldman Sachs’ research analysts led by Jessica Binder Graham. That’s 28% lower than the same period in 2015. There are a bunch of reasons why activity has slowed, including volatile markets, uncertainty around the US election and new inversion rules. One of the more interesting changes that has taken place is that investor’s enthusiasm over deals has flipped. Historically, buyers saw their share price drop after announcing a deal. 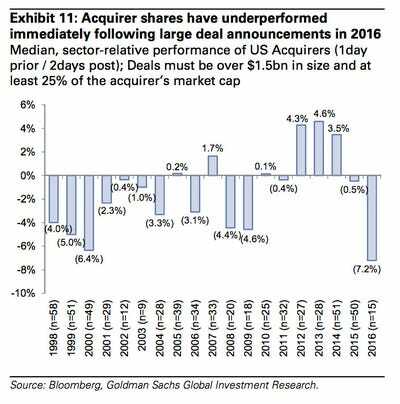 But during the M&A boom that ran through 2014, that changed and acquirer share prices started rising when deals were announced. The rising stocks were widely seen as an endorsement of takeovers — and an encouragement to CEOs thinking of making a deal. Then that flipped at the back end of 2015, with some buyers getting burned after such announcements. 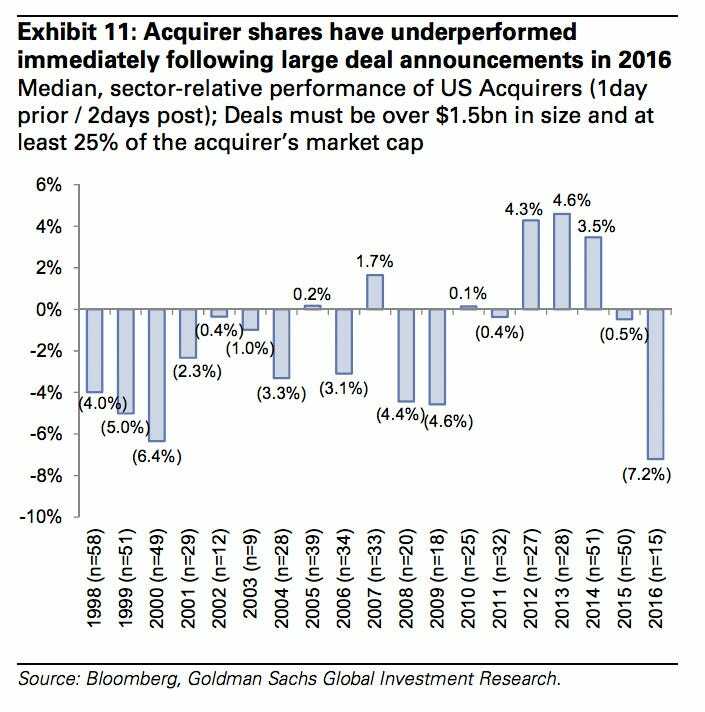 And so far this year, the share price performance of acquiring companies is the worst on record. It is worth noting that Microsoft is trading down 2.5% following the news of its $26.2 billion deal for LinkedIn. The share price drop could stem from uncertainty on whether a deal will ultimately go through amid heightened regulatory pressure. The note said that $490 billion of deals have been withdrawn year to date globally, with around $400 billion of those deals originating in the US. Staples scrapped its planned merger with Office Depot in May and paid a $250 million breakup fee, for example, and the $28 billion merger between Halliburton and Baker Hughes failed. In addition, so-called merger arb spreads, or the difference between the target’s share price and the price per share announced in a deal, remains wide. One issue is that there appears to be more uncertainty that a deal will ultimately be consummated once it is announced, which is related to the regulatory issues highlighted above. Second, higher credit spreads earlier this year may have heightened sensitivity around corporate leverage levels in the US, which have increased meaningfully in recent years. 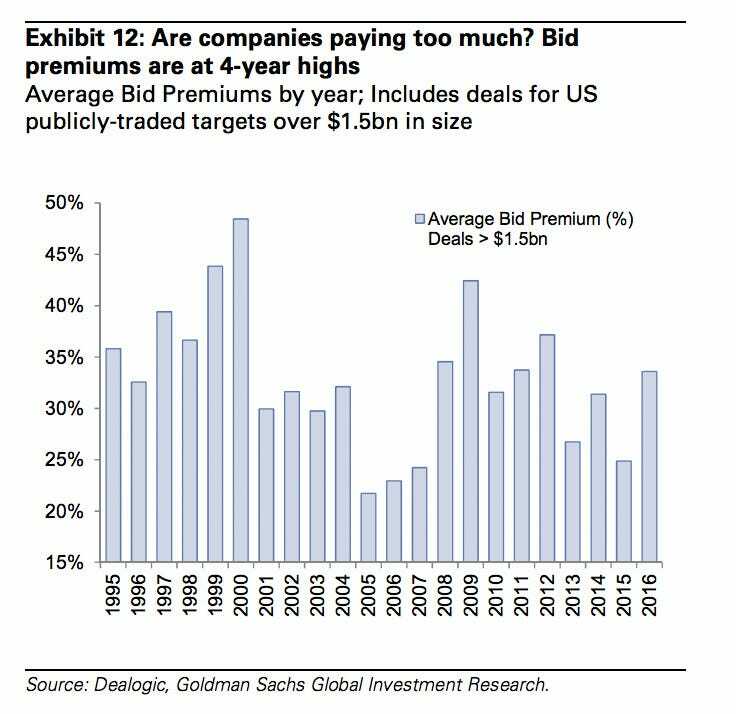 Bid premiums have also crept up, hitting 34% this year, according to Goldman Sachs, up from the average of 25% in 2015. 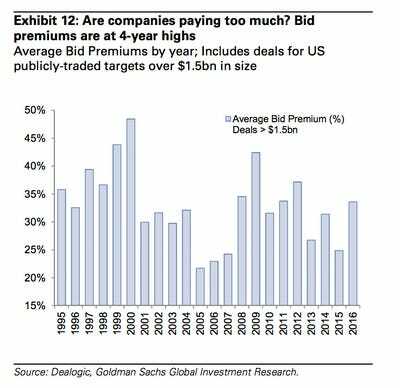 “Higher bid premiums may be a warning sign to investors that acquirers are paying too much for deals,” Goldman Sachs said.